The tune originally appeared on the “Ace Of Spades” album, which peaked at No. 4 in the UK on its way to gold status for sales of 100,00 copies. Due June 10, “Clean Your Clock” presents the band over two shows at the Zenith in Munich, Germany last November on what turned out to be their final tour as founder Lemmy Kilmister passed away at his Los Angeles home on December 28. 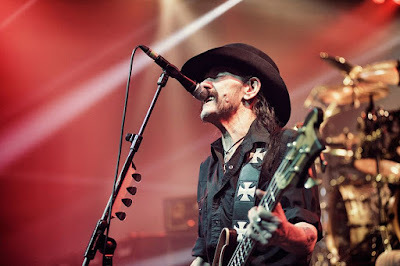 The live package will be available in multiple formats, including Blu-ray/CD and DVD/CD combos, CD, colored vinyl, digital download and two box set options: one with the DVD/CD and colored vinyl which includes a Motorhead Metal Medal, and a limited-edition package offering the Motorhead Medal in Silver or Gold. Surviving Motorhead members Phil Campbell and Mikkey Dee will join Saxon on stage to play a special one-off set of Saxon and Motorhead classics in a unique Salute To Lemmy at this year's Metal Hammer Golden Gods Awards show at the Eventim Apollo in Hammersmith on June 13.